New Jersey’s Conscientious Employee Protection Act (“CEPA”) provides a remedy for employees who are wrongfully terminated in retaliation for objecting to conduct which is believed to be illegal. This Act is often referred to as the New Jersey “whistleblower law.” In fact, it is one of the most liberally interpreted and expansive whistleblower laws in the country. CEPA is a relatively new law, enacted n 1986, and thus has been the subject of much debate, misunderstanding, and misapplication. CEPA provides wrongfully terminated or retaliated against employees with an avenue to seek redress. An employee is protected under CEPA if she disclosed, objected to, or refused to participate in an act, policy, or practice of the employer which the employee reasonably believed violated a law, regulation, or public policy. If the employee is then fired, harassed, or otherwise retaliated against as a direct result of the disclosure, objection, or refusal, that employee may have a claim under CEPA. In the recent case of Fraternal Order of Police, Lodge 1 v. City of Camden, police officers brought an action against the City claiming (among other things) retaliation in violation of CEPA for the officers’ objections to the City’s policies regarding police-civilian interactions, based upon the belief that the policy violated the anti-quota law. In New Jersey, it is illegal for police departments to set quotas for officers for the number of arrests or citations that an officer is involved in issuing or effectuating. In Camden, the City had instituted a policy known as “directed patrols” which required police officers to engage with City residents regardless of their involvement in any suspected wrongdoing and the officers were required to engage in such interactions on a set basis – with a minimum of 18 such interactions per shift – and to record the details of those interactions. Officers could be subject to disciplinary action if they did not meet these requirements. The officers believed and communicated their objections that these requirements violated the anti-quota law. 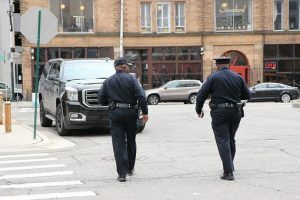 The officers also claimed that the City retaliated through the revocation of vacation time, limiting of sick leave, surveillance as a result of their objections and/or refusals to participate in conduct they believed to be illegal. However, the officers appealed that decision and the Third Circuit correctly held that – although the District Court may have been correct in finding that the directed patrols policy did not violate the anti-quota law – CEPA does not require there to be an actual violation of law for CEPA protections to apply. An employee need only put forth facts illustrating that she had a reasonable belief in illegal conduct; the employee need not prove that a violation actually occurred. The United States Court of Appeals for the Third Circuit even went so far as to admonish the City for labeling the officers’ protests as nothing more than the whining of a “squeaky wheel” and suggesting that CEPA is “a ‘Whistleblower Act,’ not a ‘Chronic Complainer Act.’ Indeed the Court said that such a statement was “offensive” particularly since the officers’ concerns clearly involve matters of urgent public interest. However, this is not the first time that a court has held that an employee need only a reasonable belief in the violation of law or public policy, yet, time and time again courts appear to have trouble separating “an actual violation” from “a reasonable belief of a violation.” Therefore, while higher courts on appeal generally seem to be correcting the misapplications and/or misunderstandings of the lower courts regarding CEPA, it continues to be an uphill battle for many plaintiffs.